The AN230W is a 30 page-per-minute, duplex scanner that is fast, reliable, and affordable for business where scanning plastic ID cards, business cards, documents or other heavy card stock is necessary. With wired and wireless networking capabilities, the AN230W offers network scanning to e-mails, a shared folder (CIFS) and a FTP server, as well as mobile scanning through Avision/s App. Built-in with a Wi-Fi dongle, the AN230W can work as a wireless device to scan and receive images directly from your mobile devices through Avision/s App. 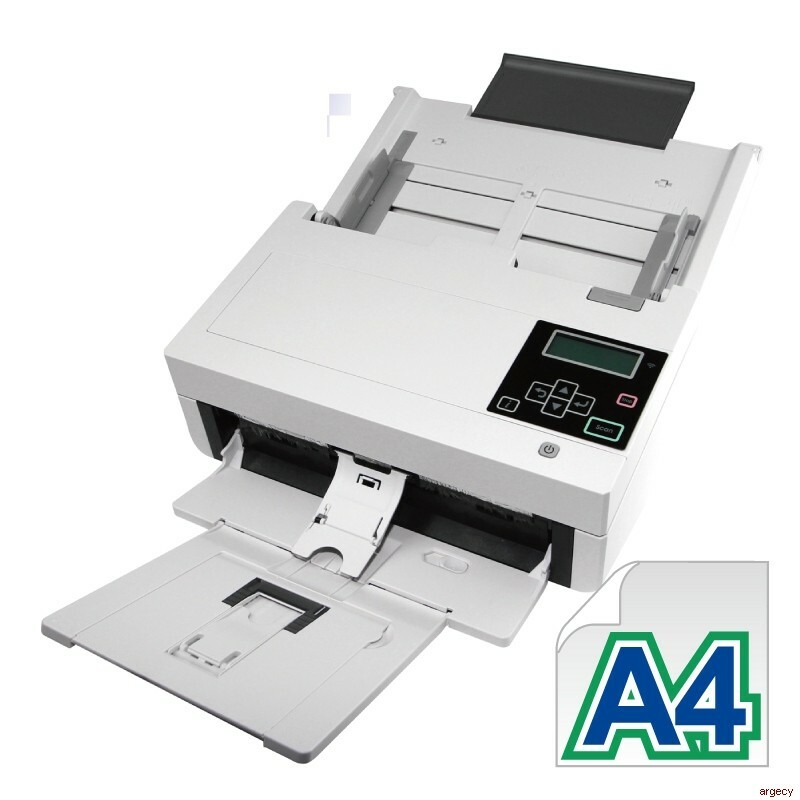 The AN230W boasts a unique and innovative design in comparison with its predecessors - the ability to accommodate form document up to 242 x 356 mm (9.5 x 14 in.). The extended document width from standard 216 mm (8.5 in.) to 242 mm (9.5 in.) makes the AN230W more competitive to fit for a wider range of documents. Thanks to the advanced straight paper path and image processing technology, mixed batches of documents with varies sizes and weights can be scanned, appropriately cropped, deskewed, and ready to use. Scan size accepts paper from receipts (50 x 50 mm/2" x 2") to business document (242 x 356 mm/9.5 x 14 in.). The auto document feeder is also robust enough to feed paper up to 413 g/m2 (110 lbs) and embossed hard cards such as ID cards, credit cards, driver's license, and health insurance card up to 1.25mm in thickness. Designed with the innovative reverse roller for advanced paper separation capability, the AN230W delivers outstanding feeding reliability and operating productivity by effectively reducing the risk of a multi-feed or paper jam. The AN230W features a unique and stylish design as both the input and output paper tray can be folded when not in use. The paper tray also helps to protect the unit from dust. Unlike bulky conventional scanners, the slim AN230W can be easily carried and fit on a desk without taking up a lot of space. The AN230W is easy to use through the LCD display and buttons on the panel. By selecting your destination and pressing the -Scan- button, the scan can be done and the scanned image can be sent to your specified destination application such as e-mail, printer, or your favorable image-editing software application. Up to nine frequently used scan settings and destinations can be preset for different scanning needs. The AN230W come with TWAIN, and are bundled with a suite of powerful software applications that include Avision Button Manager, AVScan X, and Nuance PaperPort SE 14. With Button Manager, you can create searchable PDFs, scan and send images to e-mail, printer, or clouds servers such as Google DriveTM, FaceBook, or Evernote with just a simple press of a button. The AVScan X and Nuance PaperPort are highly effective image processing and document management software that helps you streamline your task more efficiently.